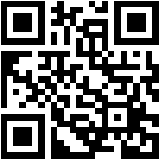 Protestant Ethnic and Spirit of Capitalism PDF download A thumbnail version goes like this. There appears to be lots more Protestant capitalists than there are Catholic ones. Also, Protestant countries tend to be more economically developed than Catholic ones - so why? Marxism would say that people's ideas are a manifestation of the economic structure they find themselves in, but Weber believes this is only partly true, although he starts off strongly opposed to Marxism, in the end he is much less certain of the limits of the role of economics in providing the base for these ideas to flourish.. All the same, he believes that there is something in Protestantism that makes Capitalism more or less inevitable and that is not present in Catholicism. Now, given the countries picked - Italy and Spain on the Catholic side, Northern Europe and England on the Protestant side, you could possibly argue that living in a country with an incredibly bad cuisine is the problem. But Weber focuses on religion. In the last chapter he says that extreme Protestant views run something like this - God has a perfect plan which he worked out at the dawn of time. There is nothing you can do to change this plan. You don't deserve to be saved - no one does (we are all contemptible sinners and it is only God's grace which saves us in any sense). You cannot know you are saved. The only way you might 'guess' is if God rewards you. So, if you work hard and gain riches you are obviously in God's favour and therefore you might also be saved. Spending money is a sin. So, Calvinism and other extreme sects encouraged people to work hard and not to spend - prerequisites for the growth of Capitalism. Now, that bit is the bit this book is mostly known for. But what I found interesting was the idea at the very end that becoming increasingly wealthy - like Silus Marner - also leads one to become increasingly obsessed with secular interests, not least in increasing ones own wealth to the point of a fetish and to become obsessed with worldly goods, rather than heavenly ones. 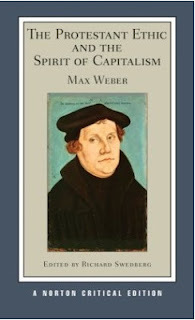 So, while Protestantism is seen as a kind of prerequisite for the early development of Capitalism, ironically enough, Capitalism does not return the favour and works to undermine the extreme forms of this faith that assisted its own development.